Wednesday hump day, its a short week this week as I’m finished work for the summer on Thursday and Philip is taking Friday of so we can get an early start to our weekend camping trip. Looking forward to a couple relaxing days up at one of our favorite spots Hope Bay Camp ground. It’s located on Georgian bay just north of Wiarton Ontario. Another beautiful day today, sunny and hot! I really felt like carrot cake today but being rather warm out I didn’t think it was a good idea to put the oven on. 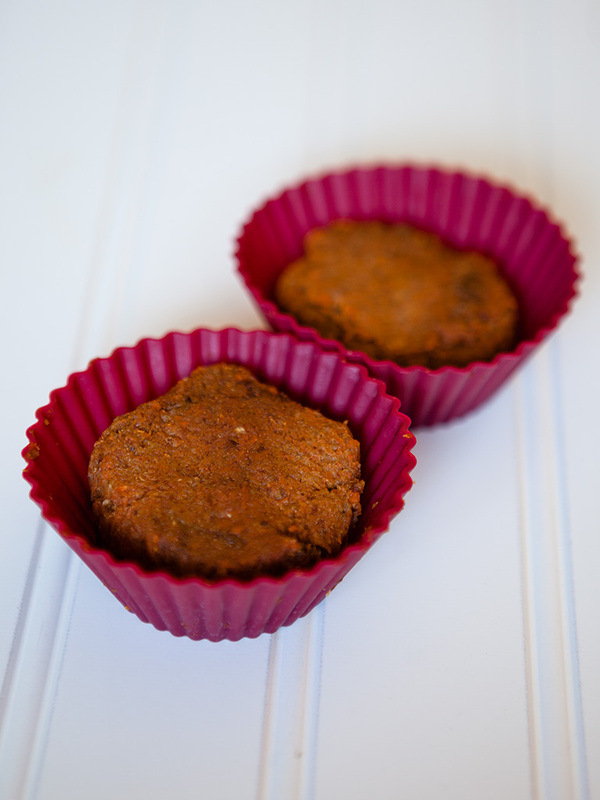 So I made some fresh carrot juice which was oh so refreshing and kept the pulp to make these yummy raw carrot muffins. 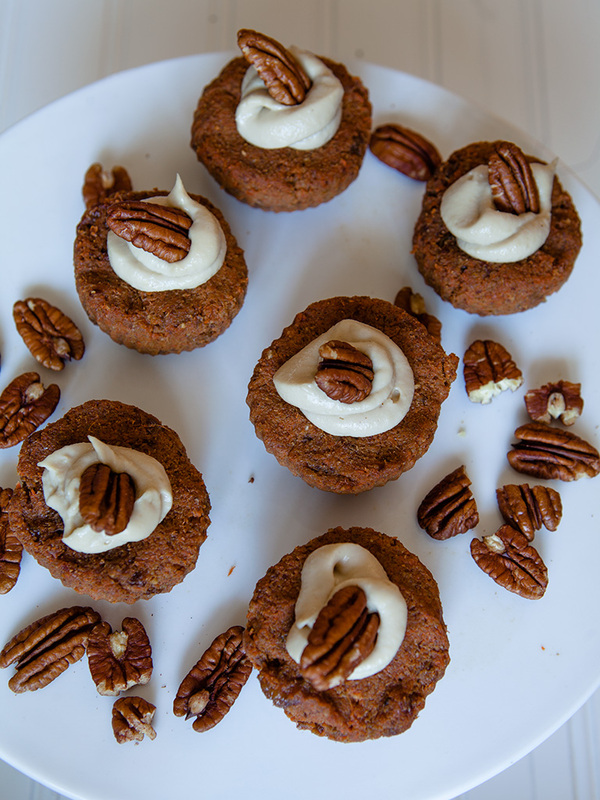 These muffins are so easy to make, simply use a food processor to mix carrot pulp, raw pecans, dates and raisins with some cinnamon and nutmeg. 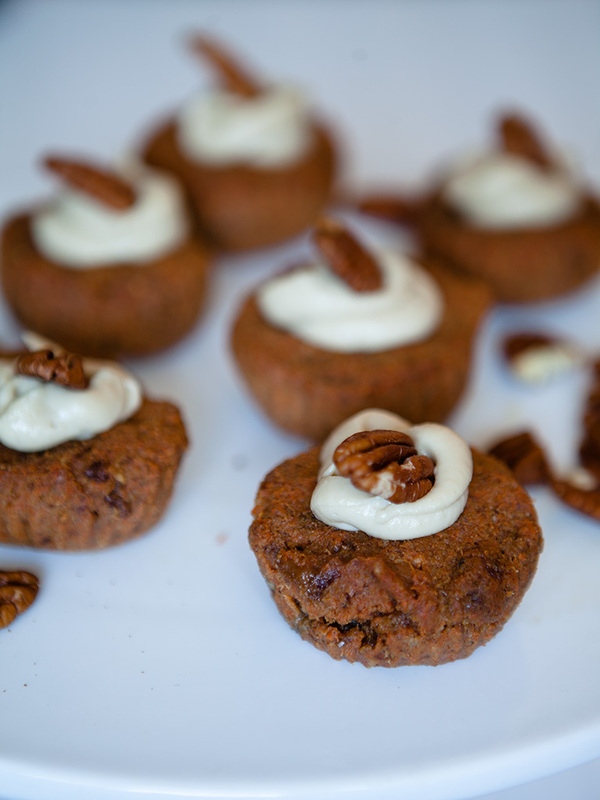 I topped my raw carrot muffins with some cashew cream and a pecan yum! Process the dates and walnuts in a food processor until crumbly looking. Add raisins and pulse to combine. Don't over process raisins. Press dough into cupcake cups. I used silicone ones. Refrigerate for at least an hour before icing. Place all ingredients in a high powered blender like the Vitamix and blend till smooth. You may have to stop blender and push ingredients down into blade Longer you blend the smoother your cream will be but don't over blend or cream will warm. Refrigerate the cream for an hour to firm up before using. 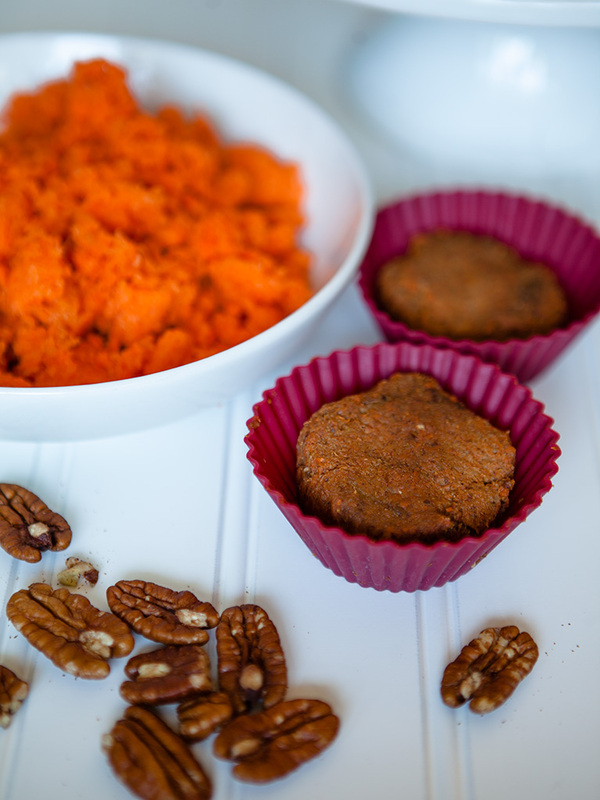 Spoon on to the raw carrot muffins and top with a pecan.